Are You Sleeping While the Train Passes the Station? For the last three years, I’ve listened to many people talk about waiting until the real estate market hits bottom before they will purchase. We all know that the bottom is seen only in hindsight, but by watching the market closely and constantly, we can begin to see trends and changes in the market, which might alert us to shifts which we later recognize as peaks or troughs. The charts I created below are not intended to point out a bottom, because we won’t recognize a bottom until we are well off the bottom floor and it is behind us. However, if you look closely at the charts below, you will see a market shift over the last several months. I don’t want to throw too much historical data at you, but I will share a bit for context. 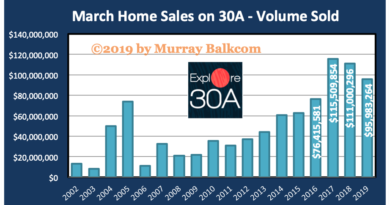 Looking at the South Walton sales for Homes, Condos, and Townhomes, over the last several years, we see a common trend. Generally, we see an upward trend in sales from Jan through July of each year. Then, from August through December, we see sales decline. With that background setting the context, it is interesting to note the sales in 2009. In the chart above, don’t just compare 2009 to 2008. Also look at 2009 sales month to month. Since July 2009, we see the total dollar sales volume of Homes, Condos, and Townhomes which sold in South Walton, increase month over month, with October sales dollar volume showing an increase of 42% over July sales, and each month in between has shown steady increases. Since I’m not one to look at any one factor of statistical data to get a full picture, let’s look at some other factors. In the chart below, we look at quantity of sales. Again, don’t use this chart solely as a comparison against 2008. Look at each month compared to the next. Starting in February, we have seen higher sales quantity for each month in 2009, compared to 2008. This largest increase in the comparison months came in October, with the increase in quantity of sales being 81% in 2009, compared to 2008. What has sparked this growth? Could it be that interest rates are under 5%? 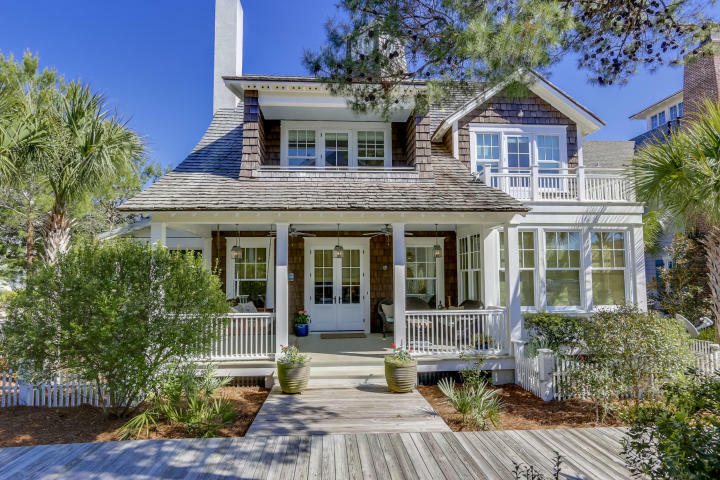 Perhaps people will point to the $8,000 tax credit, but that makes up only a small portion of our sales in the resort/second home market of South Walton. Maybe it is the fact that there is about 5 years worth of would-be buyers, had they not been priced out of the market. Could it be caused by Southwest Airlines’ recent announcement that they will be flying in and out of the new PCB airport, which opens in several months? Or, maybe the answer is easier — the buyers never left the market. They have always been here and it is only recently, that sellers have been willing to price the property at a level where the buyers perceive value. Regardless of the catalyst, properties are selling and that is great news for many people. There are likely many reasons which are causing enough excitement in buyers that we are seeing increase in sales. Below is another useful chart — Median Sold Price for Homes, Condos, and Townhomes in South Walton. Median Sales Price has always been thought to be the best indicator of price trends. FINALLY, we are beginning to see some leveling of median sales price! We still have much inventory to work through, so buyers should have plenty of choices, though sellers will have to compete on pricing if they want to sell their property. 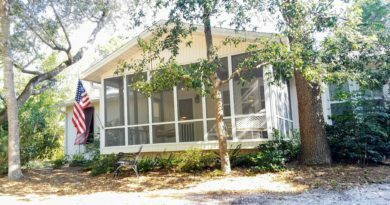 Keep a close check on my reports to www.dreamBIGproperties.com in order to see the latest real estate market updates in South Walton. Or, go to the upper right corner of www.dreamBIGproperties.com and subscribe (FREE) so that you don’t miss an update. I encourage your comments, questions and feedback, so if you have any, please click the comments button below and give your input. 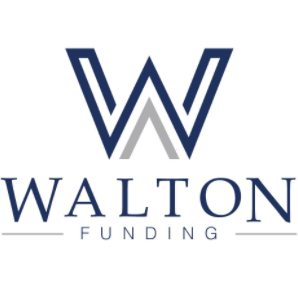 Also, if you have questions or would like to learn about sales in a particular areas of South Walton or Freeport, that would be the place to ask. 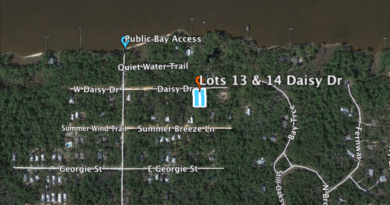 Much of the information I use for my data comes directly from the Emerald Coast Association of Realtors, and while thought to be reliable, is not guaranteed.